Yuasa and Wicklow Hurling got their new partnership off to a winning start as the team won the Allianz Hurling League Roinn 2B Cup on 10 March. The match was the first time the team wore their new branded strip featuring Yuasa as the title sponsors. The partnership between Yuasa and Wicklow Senior Hurling Team was arranged and administered by Somora Motor Parts Ltd, a customer of Yuasa based in Ireland. 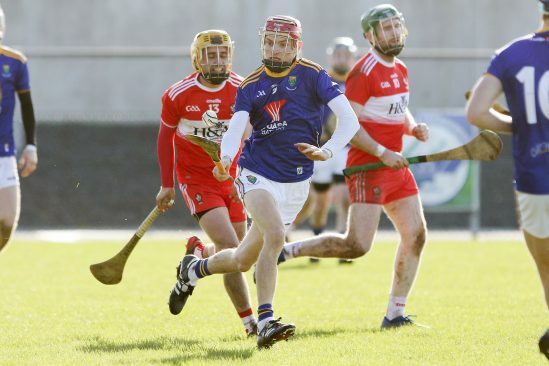 Wicklow played Derry in the Division 2B Hurling League Final and Michael Boland’s goal in the final moments of the second-half sealed victory and promotion to Division 2A for the Wicklow hurlers, ahead of the 2020 season. The win comes at the end of a remarkable debut league season for new manager Eamon Scallan. Man-of-the-match went to Stephen Kelly and overall the team fought hard, battling against windy conditions in Inniskeen. Hurling is the fastest game on grass. It is also one of the oldest with its traditions set in the mists of ancient Irish history. As a stick and ball game, the sport uses skills from lacrosse, field hockey, and baseball. It is played by teams of 15 on a grass pitch with H-shaped goals at each end. The primary objective is to score by driving the ball through the goals or putting the ball over the bar and thereby scoring a point. Three points is the equivalent of a goal. 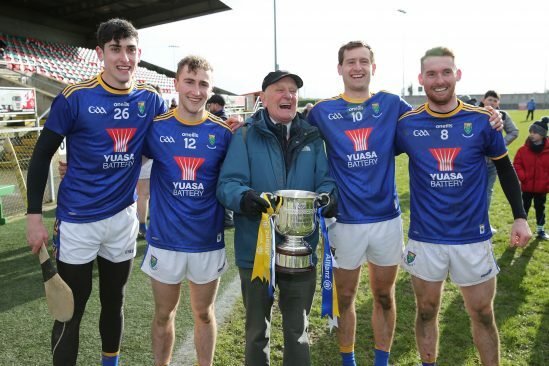 James Douglas, Marketing and Product Manager, said: “It was only last month that Yuasa confirmed the sponsorship of Wicklow Hurling so to see the senior team win their first game at the end of the league season is fantastic! “As the world’s leading manufacturer of automotive, motorcycle and industrial batteries, our sponsorship programme is key to maintaining our brand profile. Yuasa has a strong sponsorship programme, including a long heritage in motorsport. The leading battery manufacturer has been title sponsor of Honda Yuasa Racing in the British Touring Car Championship since 2012 and also sponsors Repsol Honda in MotoGP. In addition to motorsport, Yuasa has sponsored a diverse range of sporting teams and individuals over the years. Scorers for Wicklow: Michael Boland 1-0, Christopher Moorehouse 0-2 (2fs), Eoin McCormack 0-2, Andy O’Brien 0-2, Eamon Kearns 0-2, Enda Donohue 0-1.